In 2004, the European Space Agency launched the probe Rosetta, which will rendezvous with comet 67P/Churyumov�Gerasimenko in 2014, go into orbit around the comet for several years, and release a lander called Philae to perform on-site analysis of its surface, attaching itself by harpoons. The long delay between launch and rendezvous is largely due to the need to get multiple gravity assists from Mars and the Earth over a period of years in order to save on fuel propellant launch costs and maintain a small budget. Notably, during its trajectory to fly back past Earth after its trip to Mars, Rosetta was detected by a telescopes but not identified, and was mistakenly thought to be an asteroid which might impact Earth. However, during the subsequent analysis, it was quickly identified as Rosetta. Rosetta was originally planned to visit comet 46P/Wirtanen in 2011, but problems with the Ariane launch vehicle cost postponement for 2 years which resulted in the need for a change in target. Subsequent to this, NASA is considering a probe called the "Comet Hopper" to visit Wirtanen and hop around its surface to take measurements in different places. 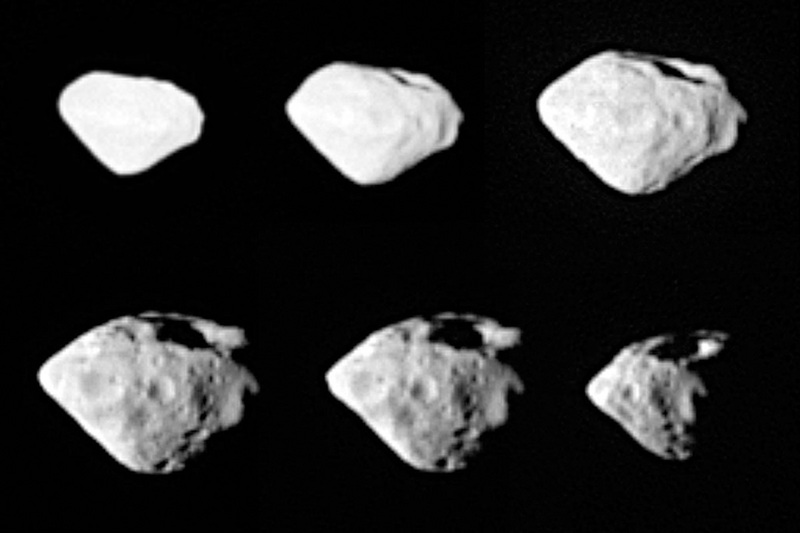 Along the way, Rosetta performed a fly-by of the main belt asteroids 2867 Steins in 2008 and 21 Lutetia in 2010, and took good spectroscopic readings. For Lutetia, the analysis from the probe's data was very different from the previous analysis from Earth based telescopes and radar. 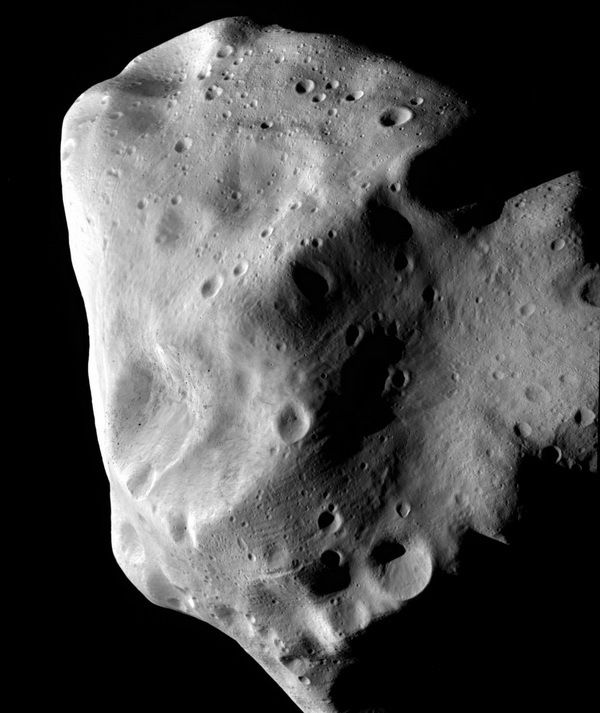 Lutetia was known to be an unusual asteroid, and Earth measurements characterized it as a metal M type asteroid but with a thick silicate regolith and having some hydrated minerals on its surface. However, the probe found it to be different, albeit still unusual. The probe disproved the interpretation of hydrated or organic minerals, finding the asteroid to be water and carbon poor, and probably an enstatite or metal rich chondrite. The surface is very fine and dusty, with a thick regolith, hence its relatively smooth appearance. 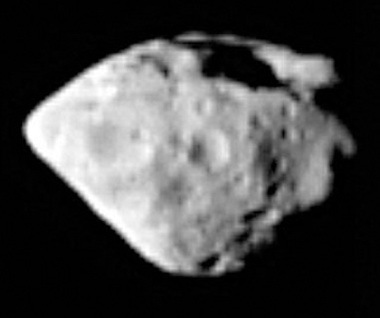 Lutetia is also a very large asteroid, up to 120 km in width. For Steins, the photos are in lower resolution and I haven't seen the analysis of the probe data yet. Due to its shape, it was called the "diamond in the sky" (though there are not thought to be any diamonds on it, of course). It is also believed to be an enstatite asteroid. It is a tough one, as the big impact which cause its main crater would normally break apart an asteroid of its size. Notably, in 2010, Rosetta helped analyze another main belt asteroid P/2010 A2, in conjunction with the Hubble telescope. This asteroid was discovered in 2010, six years after Rosetta's launch, and was initially thought to be a comet orbiting in the main asteroid belt because it had a long tail. (There do exist "main belt comets", mostly discovered in the past 10 years, but it is not known whether or not they are truly comets.) However, Rosetta looked at P/2010 A2 from a long distance, and with additional viewings by the Hubble telescope, scientists concluded that the long tail is not volatiles but is debris from a fairly recent impact. Also, in 2004, shortly after launch, Rosetta watched the Deep Impact mission's impact with comet Tempel from a long distance, just measuring a spike in brightness. Stay tuned for the 2014 beginning of Rosetta's multi-year orbit of the comet 67P/Churyumov�Gerasimenko and the Philae lander later that year.